We will raise the quality of care for severely injured kids. We can be the catalyst for positive change. There are 75 million children in the U.S. under the age of 18. If injured, one in five (20 percent) of our children are not close enough to a trauma ready hospital to be transported by air or ground within the critical “golden hour” of time after an injury. 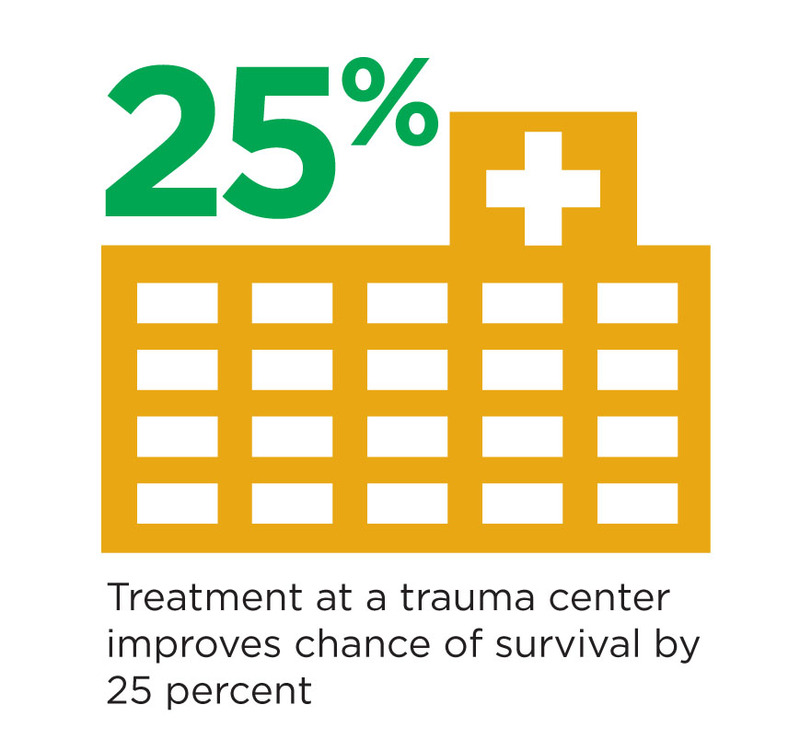 Treatment at a trauma center improves the chance of survival from a severe injury by 25 percent. For a hospital to be designated as a trauma center there are costly investments that need to be made in equipment, personnel, and training. 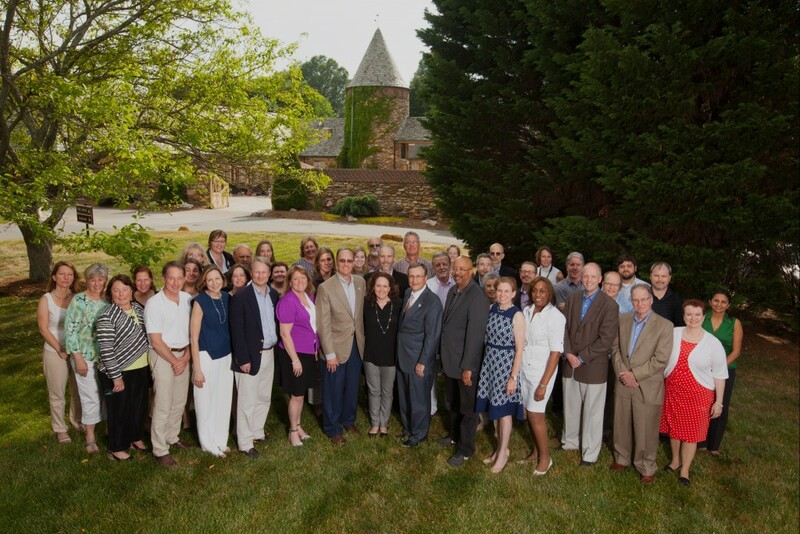 The Childress Institute plans to assist the 80 percent of hospitals in the U.S. that are not qualified as trauma centers and help them become trauma ready. 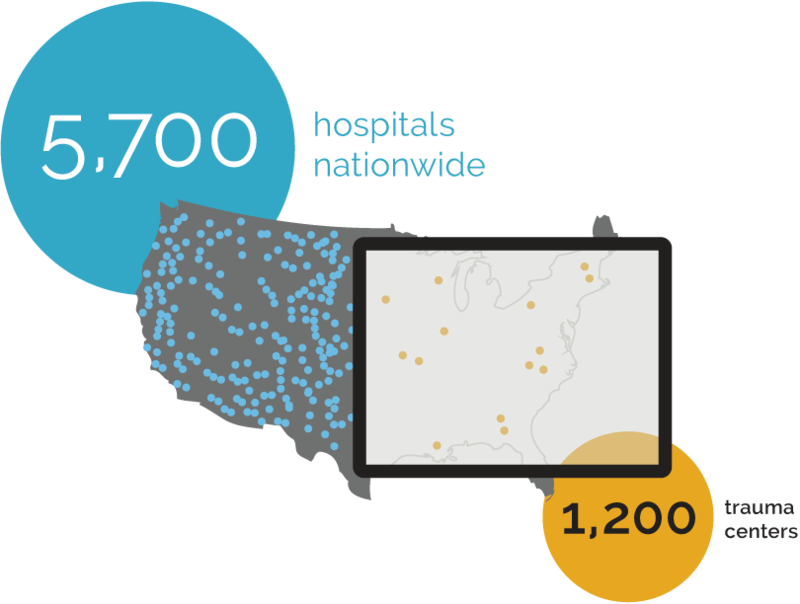 More rural hospitals need to be ready when a severely injured child is transported to them. We will invest in research, education and advocacy to improve care for all kids when they are injured. We will continue to collaborate with the experts. Our Medical Advisor Dr. Wayne Meredith gives his impressions on the Summit. 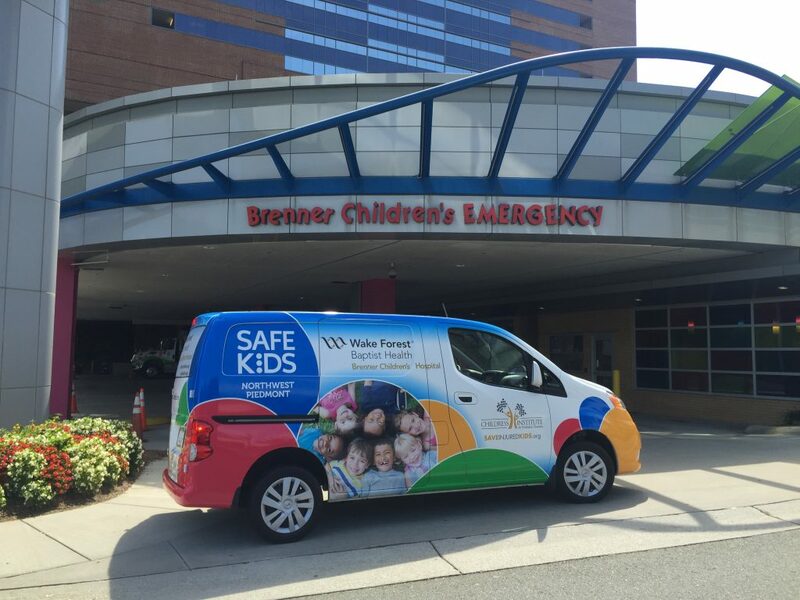 Our relationship with Brenner Children’s Hospital at Wake Forest Baptist Medical Center allows us to develop a model for partnering with other pediatric trauma centers, whether it’s sharing best practices, creating research partners or collaborating on education curriculum to save injured children. Dr. John Petty explains more and we have many educational videos from the Brenner Children’s Hospital pediatric trauma conferences. Thanks to a generous donation by the Eddie Smith family, we are partnering with Vidant Medical Center in Greenville, N.C., to develop a pediatric trauma readiness plan, which will include a regional education component for health care providers. We have funded several national research projects with pediatric trauma leaders. 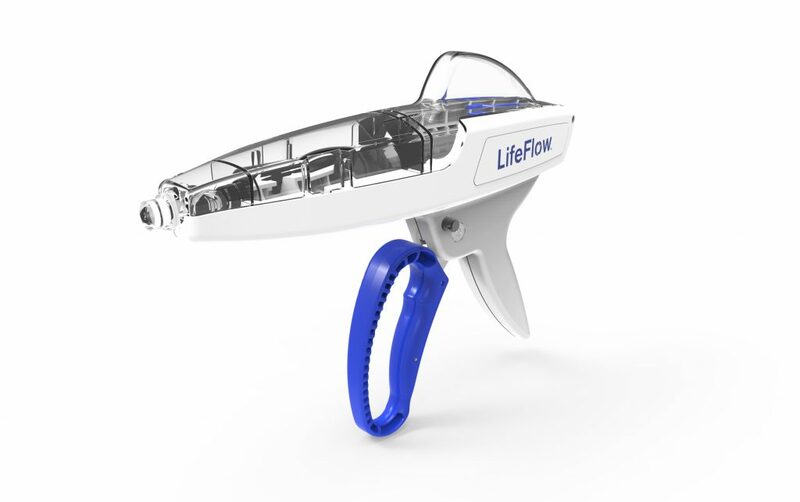 We partnered with the Philadelphia Pediatric Medical Device Consortium (PPDC) to develop medical devices that address pediatric trauma, specifically the Golden Hour of care. The first award was granted to 410 Medical, founded by Dr. Mark Piehl. They received $50,000 for the development of a rapid blood delivery system to help injured children. 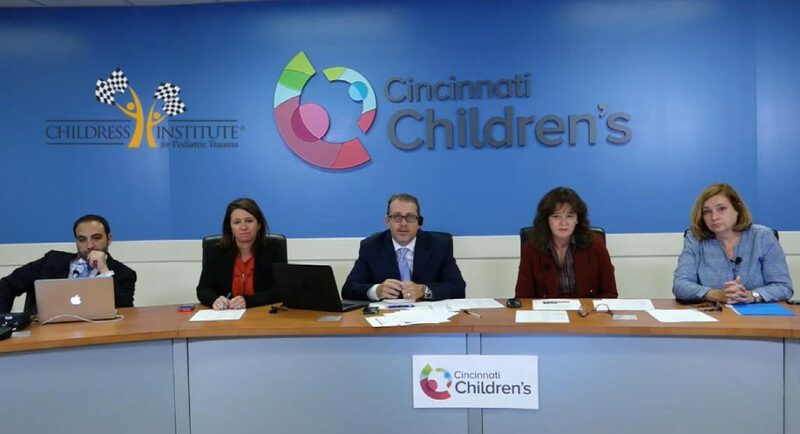 We have hosted multiple webinars to provide continuing medical education for nurses, physicians, surgeons and other emergency health care professionals specific to treating pediatric trauma patients. Knowledge from the webinar helped Dr. Johannes M. Mayr in Switzerland save little Sami’s life. We’ve reached over 30 countries with our webinars, including Brazil, Canada, Chile, Egypt, Greece, Korea, Serbia, and Switzerland, and reached approximately 1,400 people participate in each one. Representatives Richard Hudson and G.K. Butterfield launched a bipartisan Pediatric Trauma Caucus in Congress in May 2016, and have hosted three pediatric trauma briefings. 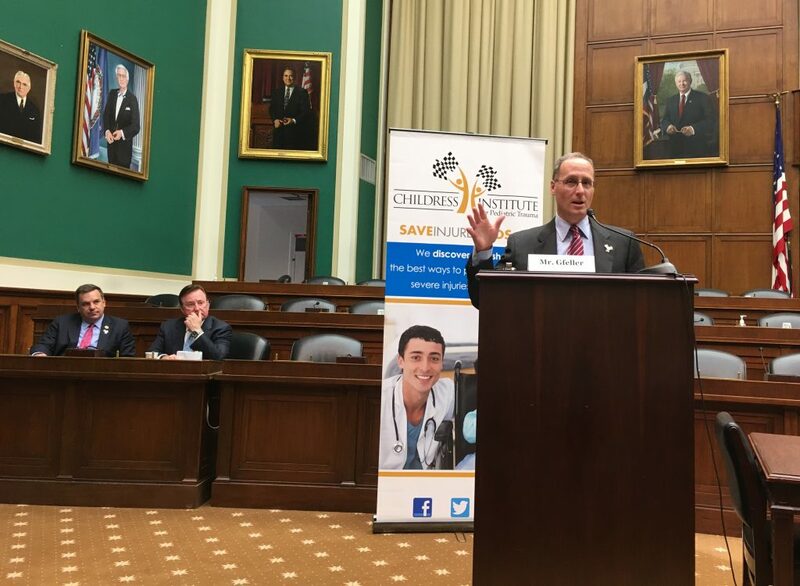 A Childress Institute representative has moderated and co-founder Richard Childress has spoken at all of the briefings, as well as visited with members of Congress to encourage membership in the caucus. Ask your state’s senators or representatives to sign up today!